But it’s been more than four years since Matt’s prophecy, so where do we stand now? Did guest blogging die? Not at all. 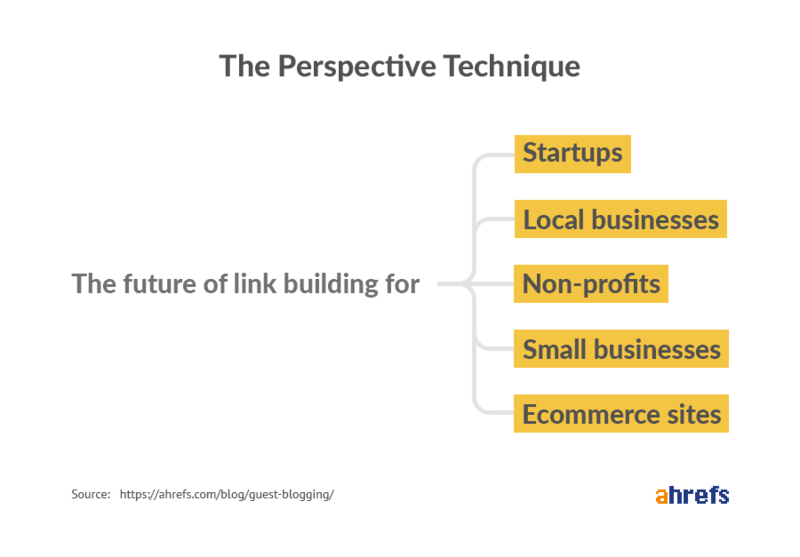 Thousands of people still use this strategy to build links to their site. It’s just that low‐quality guest posting—think submitting spun articles to places like EzineArticles—is well and truly dead. High‐quality guest blogging, on the other hand, is not only alive and well, but also remains highly effective. 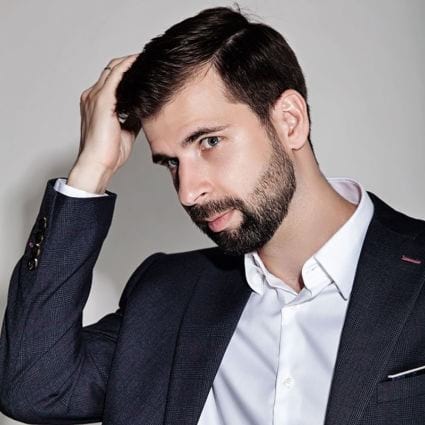 It works so well, in fact, that we use this tactic to build top‐quality links to ahrefs.com at scale. It took us a while, but we’ve now perfected and polished our guest blogging process. 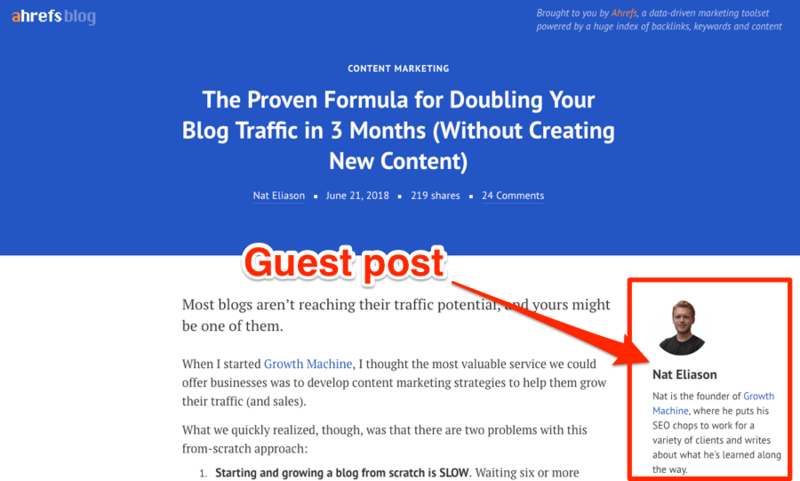 Do you want to drive referral traffic from your guest posts? Sorry, but this guide won’t help you with that. Generating referral traffic from guest posts is not as straightforward as it seems. How do I know? Because two years ago, I asked 500+ bloggers how much traffic they got from their guest articles. The results were disappointing. 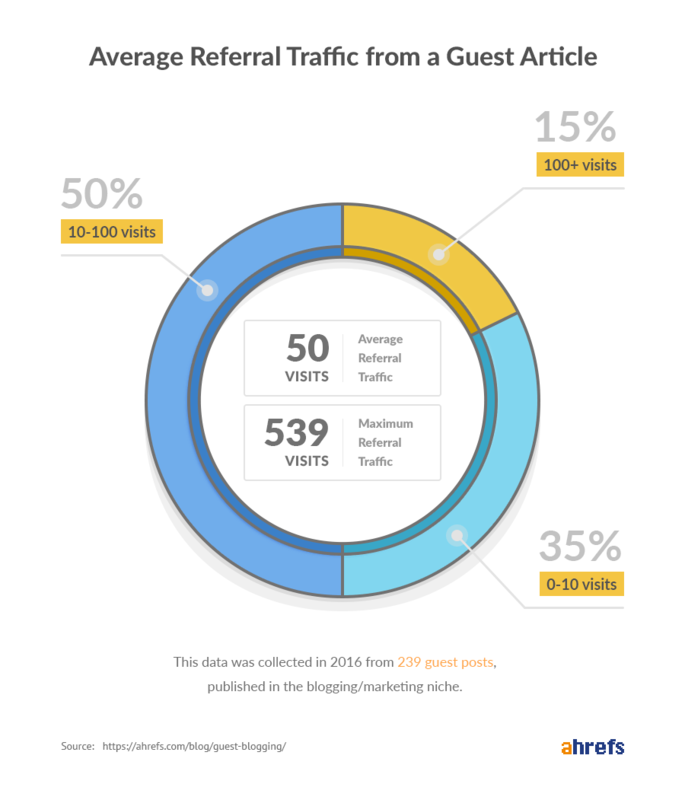 The average referral traffic across 239 guest articles was only 50 visits. 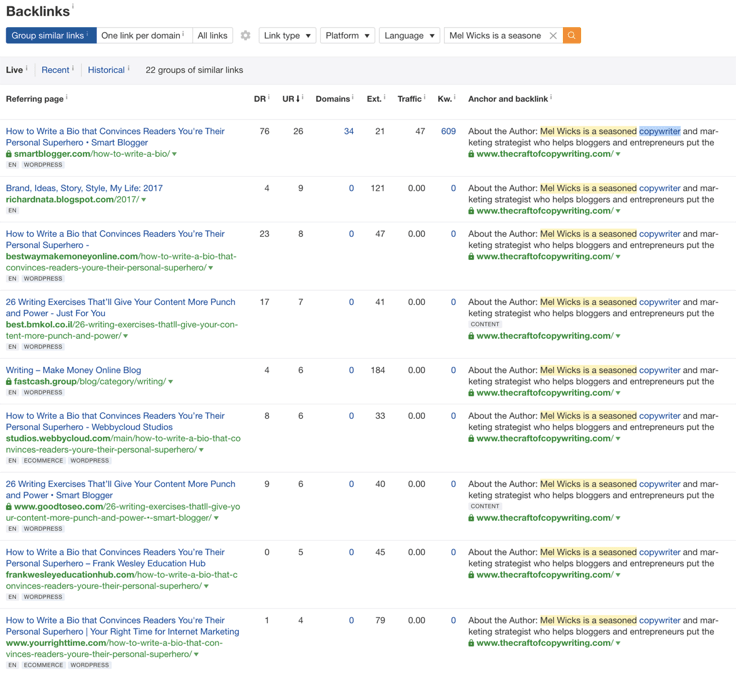 Here at Ahrefs, we pay around $0.30 per click when running Facebook ads for our blog articles. So 50 visits costs us roughly $15 (50 * $0.30 = $15). Liaise back and forth with the blogger until published. How long do you think all that would take? 5 hours, maybe more? Even if we value our time at a very modest rate of $8/hour, that’s at least $40-$50 worth of work right there. It’s true, the results do vary a lot, and you can get a ton of referral traffic from your guest articles. However, as there are so many variables at play, this is a topic best left for another post (let me know if you want me to write it). That aside, let me show you how to build tons of high‐quality links via guest blogging. And then you’re somehow supposed to scrape the search results for these search queries. And then you need to merge them and remove duplicates. And then you need to somehow pull SEO metrics for each of these blogs. Plus, if everyone follows this same process, then everyone finds the same opportunities. Your pitch will be one of the many these bloggers receive every single day. And, chances are, they’ve started to ignore them. So let me show you a better way to find thousands of unique and untapped guest blogging opportunities (in less than 60 seconds). If you haven’t used this tool before, it’s like a mini search engine for web content. It runs on a vast database of almost one billion pages (updated daily). Enter any word or phrase, and Content Explorer will kick back a huge list of web pages that mention the keyword. Let’s try it for “parenting” and see how many results we get. But anyhow, we’re not looking for a list of articles that mention “parenting” in their title. We need a list of individual blogs which write about that topic. To do this, we’ll select the “one article per domain” checkbox. Now we’re down from 90,195 to 26,248 pages, which belong to individual blogs. 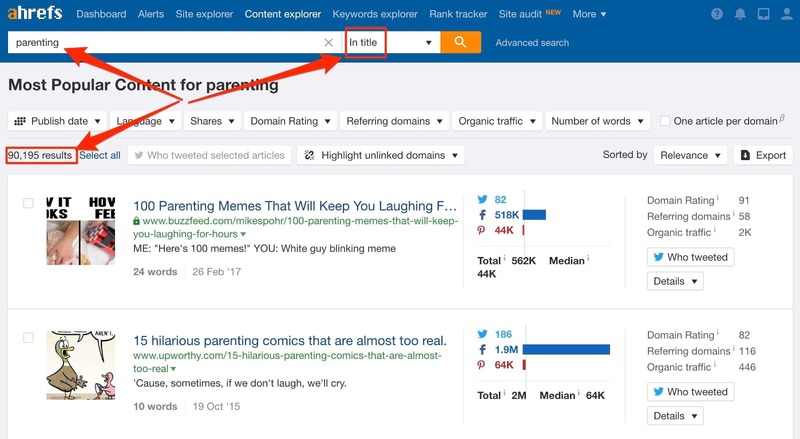 Hit “Export,” and we now have a list of 26K+ websites where we can pitch guest articles (if we wrote about “parenting”). 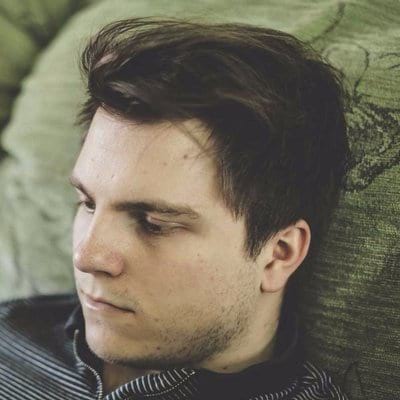 It’s impossible to get this number of prospects in such a short amount of time by scraping Google results (even if you’re as good at scraping as Joshua). But if you’re doing things the white‐hat manual way (which is what we advise), you don’t need this many prospects. The solution? Limit this number by applying a “Domain Rating” filter. 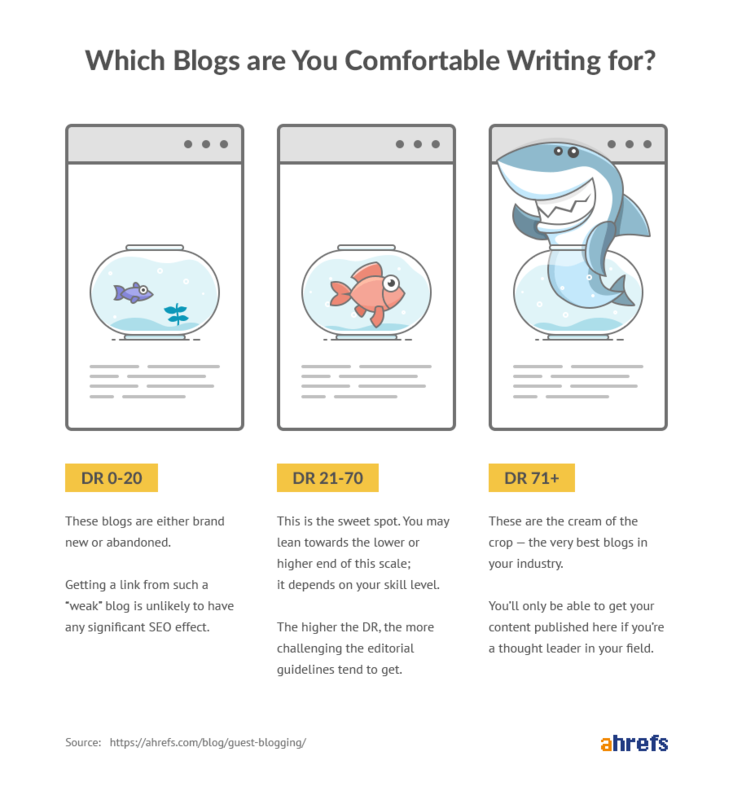 This will help narrow things down to a list of blogs that you feel most comfortable pitching. Domain Rating (DR) measures the link popularity of a given website. It doesn’t tell you if a site is spammy or if a link from that website will hurt you. Google’s “PageRank” formula works on a page‐by‐page basis. 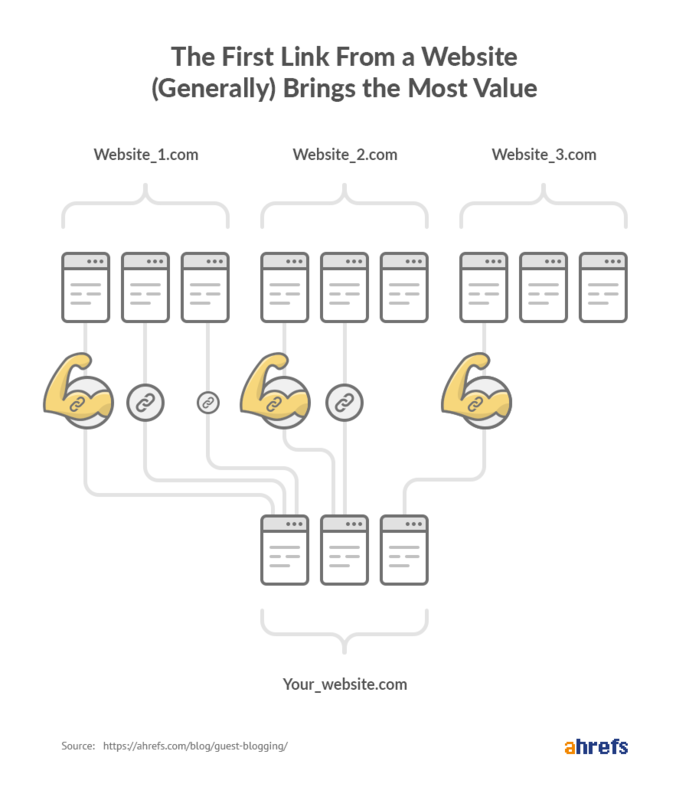 Which means you can get a link from a strong page on a weak domain, and vice‐versa. Pursuing links from high‐DR sites is generally advised because they tend to have more powerful pages. But some low‐DR sites will grow in popularity and reach a higher DR, so your link may become more valuable over time. The bottom line? Don’t shy away from publishing guest articles on legit‐looking low‐DR blogs. And that’s how you find thousands of high‐quality guest post prospects in under sixty seconds. 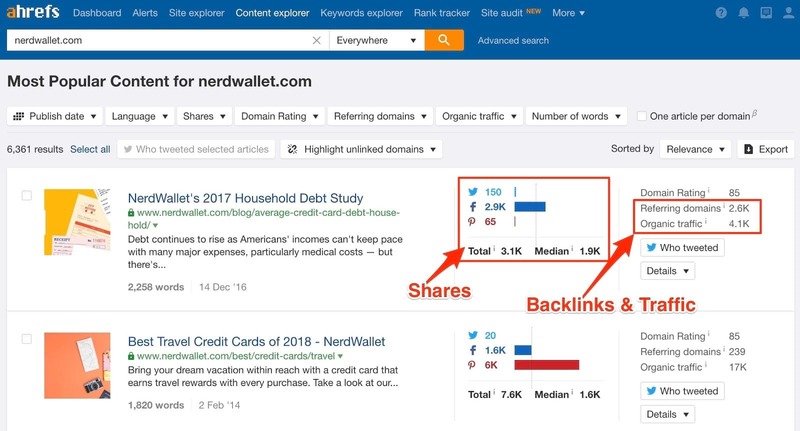 But what if your niche is super small and Content Explorer only shows a few hundred articles mentioning your target keyword? Simple. Try some other relevant keywords. And if that fails, go broader. With this tactic, it’s pretty much impossible to run out of guest post opportunities. But how do you know that these blogs accept guest articles? I mean, when you use Google search operators, you’re targeting blogs with “write for us” pages. Therefore, you can be pretty confident that they accept guest posts. Here at Ahrefs, we don’t state that we accept guest articles anywhere on our site. And nor do we encourage submissions with a “write for us” page. But whenever someone reaches out and pitches an excellent guest article (like Nat did), we publish it. So if you’re sure you can produce fantastic content, don’t limit yourself to blogs that encourage guest articles. Reach out to all relevant blogs and see if you can get accepted. Many websites with “write for us” pages are now starting to remove them. Why? They’re sick and tired of receiving lousy emails from lousy SEO firms offering to write them a lousy guest article. How do you come up with thousands of good article ideas? I’m sure you can brainstorm 3–5 good guest post ideas quite quickly. But if you want to scale things indefinitely, you’ll need to generate at 3–5 good article ideas per week. How? Don’t worry; I have three great copywriting techniques to help you out. Just in case Robin Hood isn’t a part of your cultural folklore, he’s a guy who robbed from the rich and gave to the poor. Do you see where I’m going with this? Filter for popular and lesser‐known ones with the help of our Domain Rating (DR) metric. But here’s the thing: the popular blogs are popular for a reason, which is that they have tons of great content. Lesser‐known blogs are less popular for the opposite reason: they haven’t yet published a lot of top‐notch content. So why not “steal” great content ideas from the top blogs and offer them to lesser‐known blogs? If you’re a data‐driven marketer, you might not want to limit yourself to top blogs only. You can sometimes find hidden gems on less popular blogs. When Tim uses the word “steal” in this context, he’s not saying to copy‐paste an article from one blog to another. That’s theft, and it can land you in big trouble. Remember that some publishing companies do have the budget for lawyers. Found a good article idea that resonates with you? Put a unique spin on it and submit it to a lesser‐known blog. You’d be surprised how open those small blogs are to high‐quality guest article ideas. 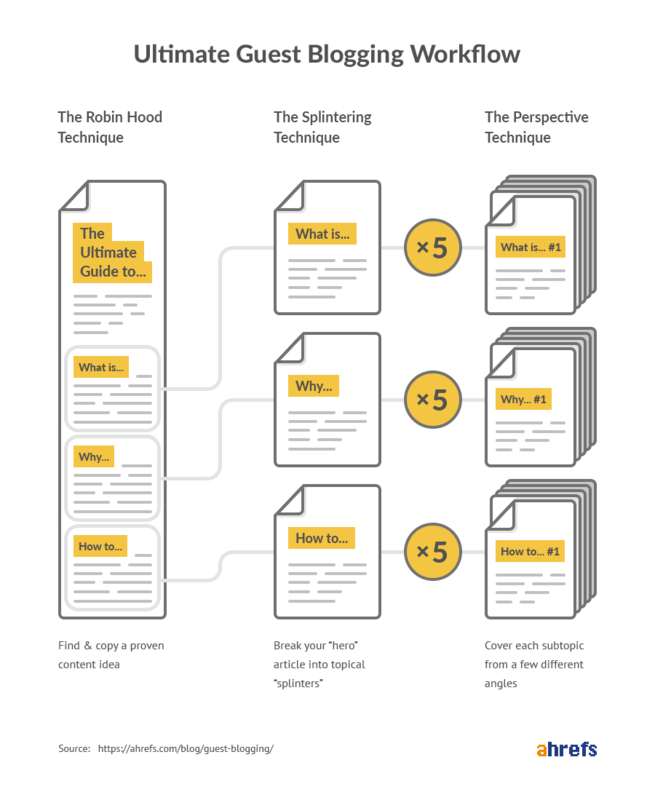 I’m sure there’s at least one popular blog in your niche with which you can use the “Robin Hood technique” to find a goldmine of proven topic ideas, right? If so, you aren’t going to run out of high‐quality guest article ideas anytime soon. 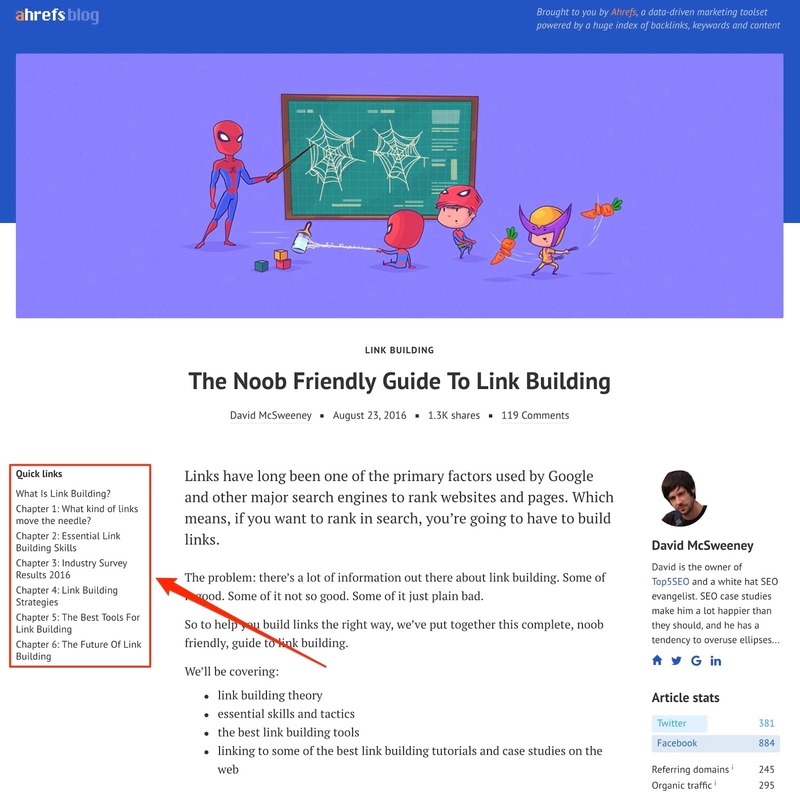 Here at Ahrefs, we’re big fans of creating long and detailed guides, such as our guide to link building. This beast is so big and detailed that we had to put quick links to the chapters in the sidebar. By doing this, we can accommodate different types of reader. 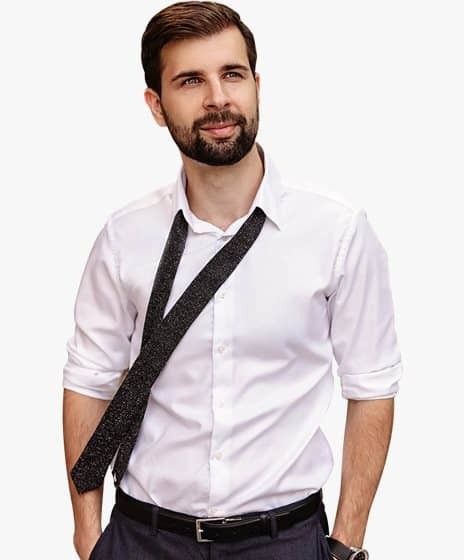 For example, one person may want to know “what kind of links move the needle.” Another might just be looking for “link building strategies.” The quick jump links allow them both to find the information they’re looking for in seconds. We can break this “hero” article into “splinters” and create standalone articles from it. We can then submit these “splintered” articles as guest posts. 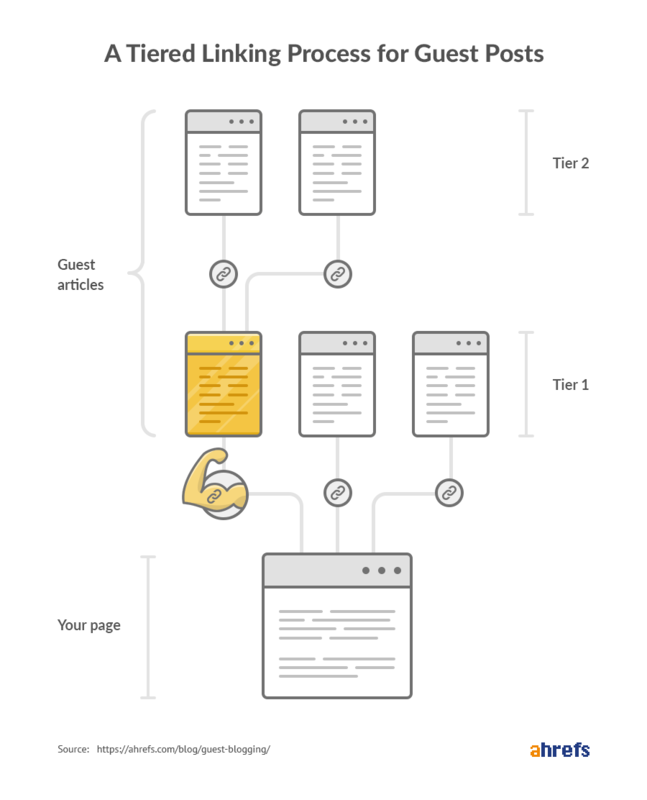 I’ll let you in on a secret: we struggled to keep the chapters of our link building guide as short as they are. The entire guide could have easily been 5x longer. But if we were to write individual articles on each of the sub‐topics, we wouldn’t have to limit the word count. This would result in some unique, high‐quality articles that we can publish elsewhere. And best of all, those “splintered articles” wouldn’t take much time to write. We did all the hard work already when we studied and researched the topic for our original guide. 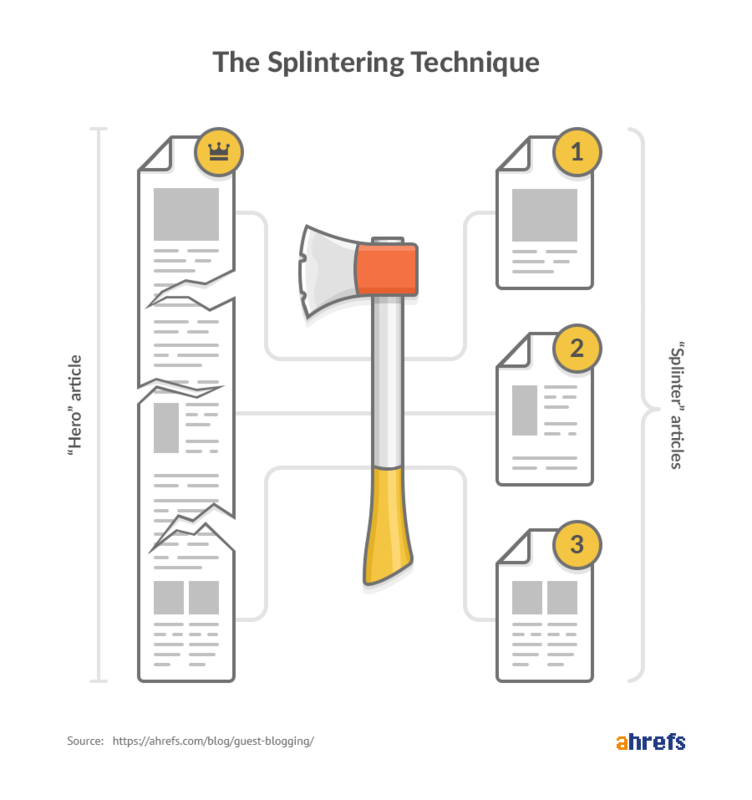 Break it into “splinters” and submit each one as a guest article to another blog. Does that mean that we cannot use this same topic again for writing another guest article? I know these topics might sound a bit awkward, but you get the idea, right? For each guest post idea you have, you can create a list of unique variations by altering the perspective. Doing this is much easier than coming up with 5–10 unique articles. Everything I’ve told you so far sounds great… in theory. The links that you get don’t “move the needle” as much as you’d hoped. We’ve come across all these roadblocks at one point or another. Luckily, we developed a few problem‐solving “hacks” that I want to share with you. This hack is listed as number #0 because it’s so crucial. The whole point of guest blogging as a link building tactic is to get your writing published on legit blogs for free. Paying for guest posts is a direct violation of Google’s quality guidelines. Buying or selling links that pass PageRank can dilute the quality of search results. Participating in link schemes violates the Googles Webmaster Guidelines and can negatively impact a site’s ranking in search results. Some blog owners may be willing to publish a lousy article if you pay them, but they will never post a lousy article for free. This is especially true when it comes to getting published on industry‐leading blogs. These guys care about their reputation. They never allow lousy articles on their site (that is unless we’re talking about Forbes). So if you want a high percentage of bloggers to accept your guest posts, you need to focus on quality over quantity. Failure to do this will make it more challenging to get published, even on smaller blogs. Building a portfolio of awesome articles published on well‐known industry blogs will also help you going forward. If you’ve already done this, use them as “social proof” in your outreach emails. This might even help you to get the green light from blogs that usually decline guest posts. To recap: invest more time into the quality of your content. This will make the rest of the guest blogging process much easier. Are you familiar with the manual actions given out by Google’s Web Spam team? Then you should understand the risks of publishing lousy guest articles at scale. Spun content is a no‐no, as is publishing content from cheap Fiverr writers. But even outside these extremes, content can still be bad. The solution is to publish only super high‐quality guest articles. Then, should Google ever decide to review your link profile manually, there’s no chance of them seeing anything remotely sketchy. On the other hand, publishing bad or mediocre articles will arise suspicions and potentially lead to punishment. As soon as you try to publish your first guest article, you’re going to realize that it doesn’t happen in a day. Publishing your guest post just isn’t usually at the top of the blogger’s todo list. So while you’re waiting for them to reply, why not pitch a few other bloggers in the meantime? I’m not talking about pitching them a different article, either. Pitch the same article that you already promised to the first blogger. That way, should the first blogger decline your submission (or fails to reply), it won’t matter. You’ll have a queue of other bloggers eager to publish it. But what if that first blogger replies positively? “Sorry, you weren’t responding for a few days, so another blog took this article idea. Sometimes, this can make them more eager to accept your next pitch. Why? Because they now know that other bloggers are lining up to publish your guest posts. This proves that you aren’t pitching junk. So my recommendation is to send the same pitch to 5–7 blogs. You can then offer the article to whoever replies first (or has the coolest blog, if you get lots of replies). That’s how you create a queue of bloggers waiting for your guest articles. NOTE. This “hack” takes inspiration from a remarkable book called Oversubscribed by Daniel Priestley. It teaches you the benefits of generating more demand than you can supply. Not read it? Buy it here. Some do this because they’re afraid that Google will punish them for linking out too much (or for linking to a “bad” website). Others think that by not linking out at all, their site will rank higher. But there’s no denying that for some, lazy SEOs are the cause. Yes, I’m talking about those who spoil bloggers by offering generous sums of money in return for links. So don’t be too upset if a blogger says that you can’t link to your site in your guest submission—it happens to everyone. Some bloggers will remove your link(s) from your published article without warning. Be wary of this. 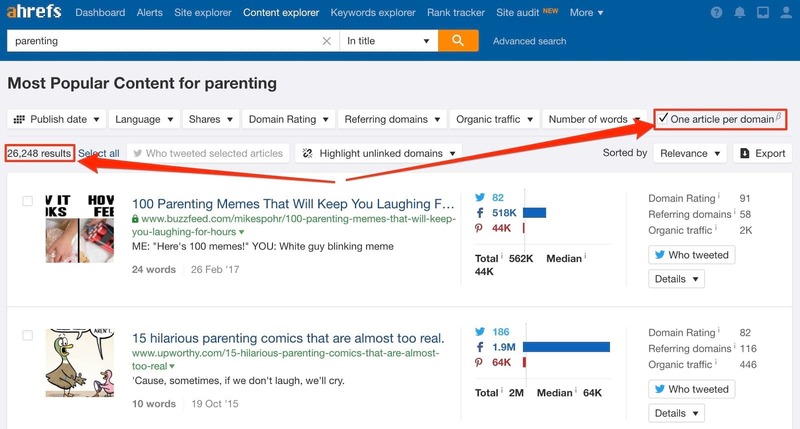 You can keep tabs on any lost links easily with Ahrefs Alerts. Bloggers hate it when you link to your own web properties. But they’re often fine with you linking elsewhere. You can use this fact to your advantage. Remember the PageRank concept? The more links that point to a page, the stronger a link from that page is. But the fun doesn’t end there! You should then reach out to the blog owner and explain that you’ve landed them a juicy backlink from a quality blog. This will be music to their ears, and they’ll no doubt be happy to oblige should you ever ask them to return the favor in future. You could also link out to those in your industry that you’d love to befriend, then reach out and tell them about the link. It’s quite easy to secure another guest post on a blog for which you’ve already written. But it’s much harder to convince a new blog to publish your work. 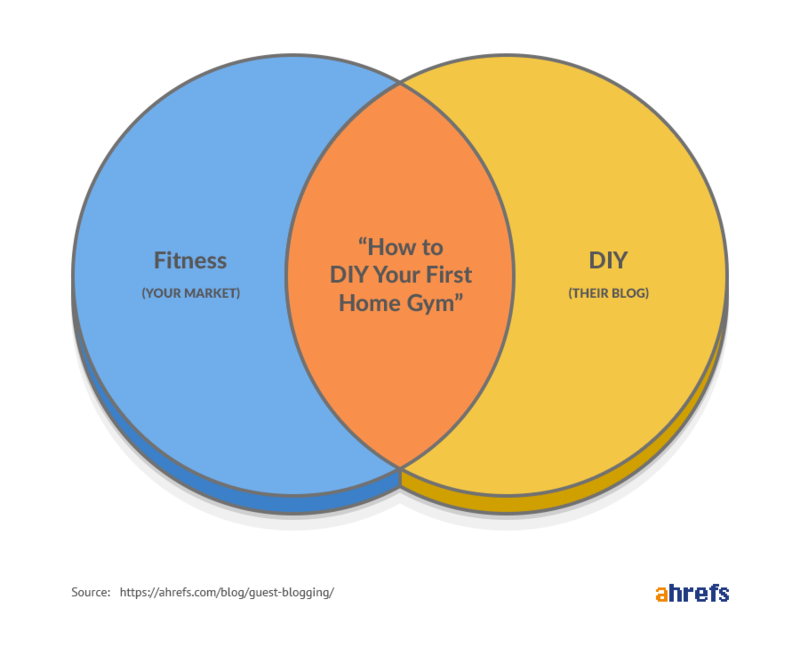 So why bother pursuing new blogs at all? Why not just become a regular contributor to an existing blog? Well, according to conventional SEO wisdom, a second link from the same website has less weight than a link from a new referring domain. … which brings us back to Content Explorer. But how do you know which of these sites have never linked to you before? Simple. 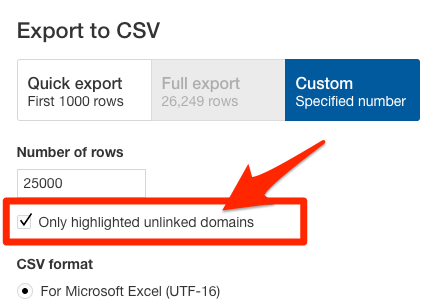 Use the “highlight unlinked domains” feature. Just enter your domain, and it will highlight the sites that are yet to link to you. This is a great way to discover opportunities to get links from new referring domains. But how strict should you be with this idea? Should you decline every offer to write another guest post for the same site? Well, Google’s PageRank looks at backlinks between pages, not websites. So if you have the opportunity to become a regular contributor to a top‐notch blog, go for it! 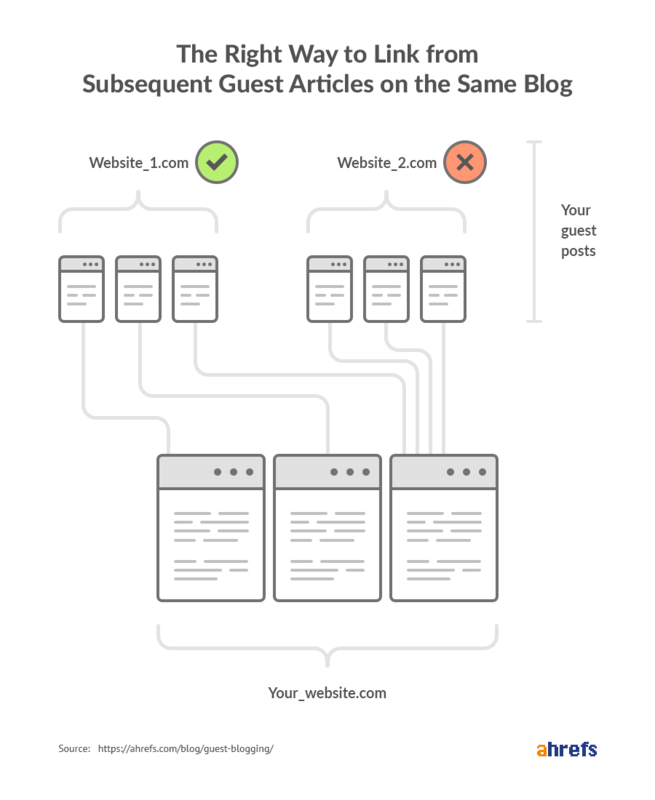 Just make sure that you’re not linking to the same pages on your website from each new guest article. This last hack doesn’t have any definitive proof behind it. Just think of it as a piece of SEO advice based on common sense (and my gut feeling). You can see that this lady has used the same (word for word) author bio in every guest post she’s written. I don’t think I’ve seen any patents around this, but it just feels wrong to give a lot of weight to such groups of links. I mean, despite coming from different websites, they all come from the same paragraph of text, with the same anchor text and point to the same page. Perhaps I’m completely wrong with this assumption? But I still think it makes sense to link out to pages other than your homepage from your author bio, at least sometimes. You should also switch up the copy of your bio and the anchor text you use to link to your website. This should help to reduce the chances of Google treating those links as unimportant. Congratulations on getting to the very end of this guide! As promised, I shared everything that our team has learned about guest blogging over the past few years. I hope that this guide will help take your guest blogging skills to a whole new level. Now, I’d love to learn from you! Is there anything you could share about your own guest posting experience that I didn’t mention in this guide? Let me know in the comments.